In 987 or 988 AD, the Kievan prince Vladimir Sviatoslavich chose to adopt the Christian religion for his people, a move that earned him a permanent place in the history of the East Slavs, the peoples that now inhabit Russia, Ukraine, and Belarus. Enlightener of Rus' is the most detailed survey in any language of literary perceptions of Vladimir from the 11th century through the early 18th century. The first two chapters examine the earliest extant representations of the prince, in the Sermon on Law and Grace attributed to the Metropolitan Ilarion and in the Kievan Primary Chronicle. The third chapter deals with the reasons for the long delay in Vladimir's canonization and the probable date and location of that canonization (in Novgorod around 1300). The fourth covers the growth of interest in the saint as a political figure in Muscovy from the 13th through the 16th century. The fifth traces the development of representations of Vladimir in Ukraine during the 16th and 17th centuries. The sixth discusses portrayals of the prince in the works of Feofan Prokopovich and Gavriil Buzhinskii, and concludes by suggesting that representations of Peter the Great in the early 18th century were consciously modelled on representations of Vladimir. The seventh outlines the development of the prince's image from the early 18th century to the present. 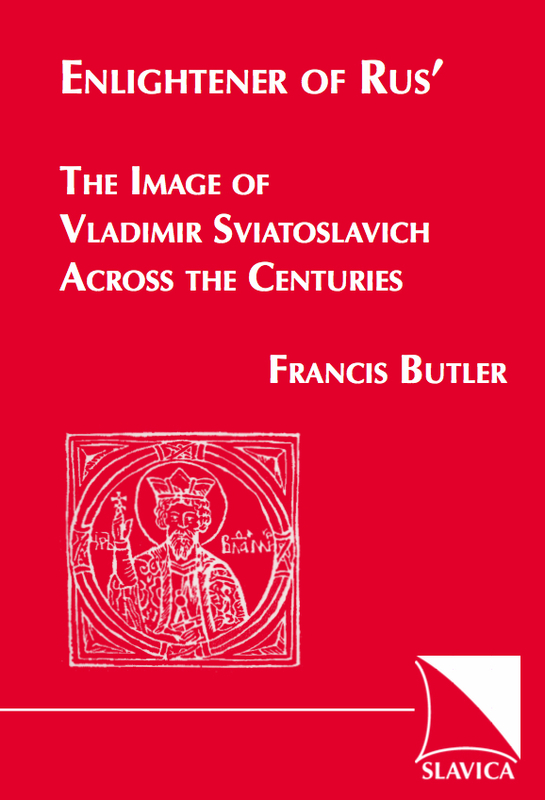 The book is intended for anyone interested in Vladimir and his image. While most readers are likely to be literary scholars or historians, the text is designed to meet the needs of undergraduates and casual readers as well. Although the saint is is referred to as "Vladimir" rather than as "Volodymer," the name that he bears in Ukraine, the book should be of interest to readers interested in the development not only of Russian, but also of Ukrainian and (to a lesser extent) of Belarusian literature and culture.